Hi Dan - I picked up a project Errol containing a 19j 753 movement. From reading your blog, especially the Blair renovation, the 753 was replaced by the 770 in '55. That was the same year the Errol was released. Is it abnormal to see a '54 753 in a '55 watch? It was a pretty small investment so you won't bum me out with any answer. On another note, are all 770's the same size? In other words, if I wish to replace the 753 mentioned above with a 770, do I need to be careful from what case it came? Or are all the 770's the same size and thus any would fit my Errol? Models came out the Fall before the year (like new cars do). 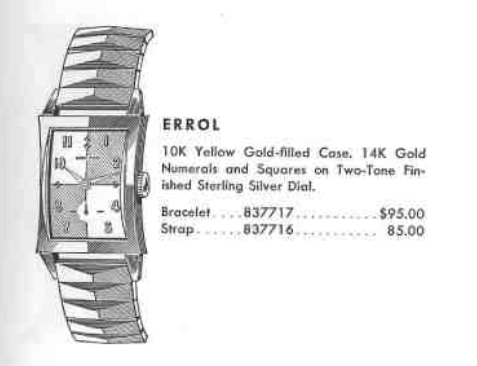 So you’ll have a 1955 Errol that was made in 1954 before the 770 was released in 1955. The 770 is largely the same as the 753 except for the additional jewels and the shock jeweled balance. Thanks. Needed to set a direction. Your blog has inspired me to get my hands dirty. Not trying to fix a movement. Just starting with detailing. I do have to get the movement working and will have to pay someone to do it. It might be less expensive to buy a new one. 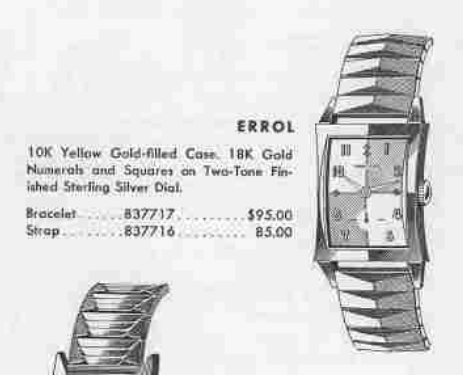 Would any 770 fit in the Errol case?